They consume us and dominate our thoughts and deprive us of the thing we love . And they also isolate us. In February I drove into the showgrounds for the South Island Dressage Champs. It was a lovely sunny day; beautiful warmbloods were everywhere looking fluid, impressive and imposing. The riders looked posh and elegant and in control. I very nearly turned around and drove home! What was I thinking ! I shouldn’t be here with my little, finely built Arabian…..and he’s chestnut with lots of bling…..and he makes up these quirky arab dressage moves AT THE WRONG TIME… and I can’t ride….and and and!! I got out and walked slowly to the float and opened the door. Charlie gave me a little nicker as if to say “come on! We can do this!”. So I unloaded him and we went for a walk. Feeling a little better I led him over for arena familiarisation. A couple of riders were coming out and they stopped and asked me if I was really going to be riding an Arabian here and were they even allowed to do dressage. My confidence hit rock bottom. But then I stopped. I put into practice what I tell my clients. Be prepared, Do the training at home and get a trainer who believes in you even when you don’t believe in yourself. Break your goal into bite size chunks. Have a progressive plan that gets you to the end result. Do it for you! Compete against yourself and aim to improve each time. Ride a horse you love and who suits you. I had made competing Charlie at the South Island Champs my goal when he was so sick from the chemotherapy (another story to be told at some stage!) At the time it felt impossible yet here we were! We slowly worked away at getting him fit and healthy. I ticked off the steps in my plan. I have a wonderful support crew of fellow riders who are always there for me when the dressage queens get me down. I love Charlie to bits and he makes me smile every time I ride him. 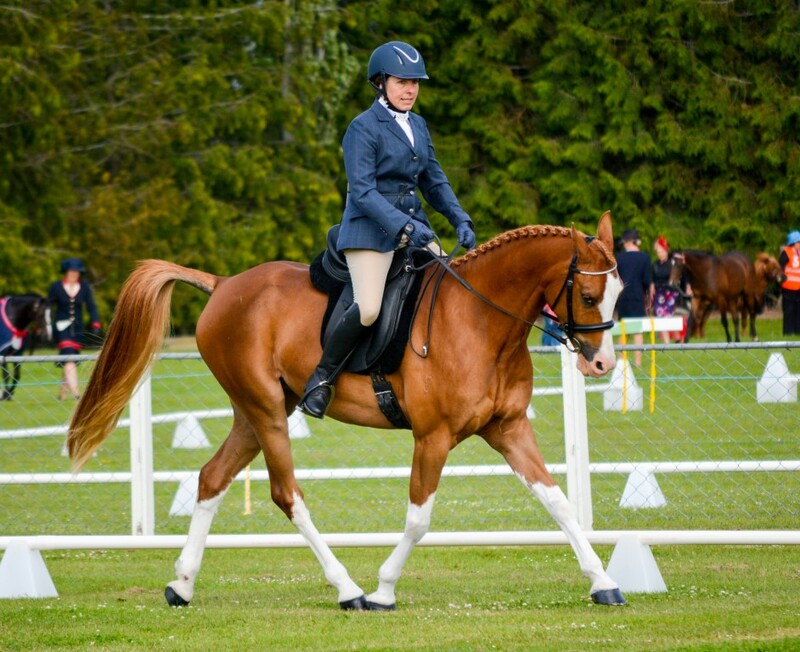 So I decided I was going to be riding the highest scoring blingy chestnut Arabian at the South Islands… and I was! And what really made my day was a judge who came to find us and say that watching Charlie floating around the arena always makes her smile as we always look like we are having fun.